This September 21st, the timeless Prince back catalogue welcomes a new, special addition - �Piano & A Microphone 1983�: 9 tracks and 35 minutes of pure Prince, simply sitting at a piano and playing. The private rehearsal recording, captured at Prince�s home studio in Chanhassen, Minnesota, provides a rare, intimate glimpse into the iconic artist's creative process as he works through songs including �17 Days,� �Purple Rain,� �Strange Relationship,� and �International Lover�. 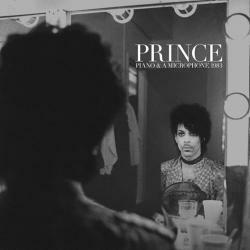 The performance is a truly unique insight into Prince�s timeless genius. Announced today, June 7th, 2018, on what would have been Prince�s 60th birthday.